The Toilet Surround with Floor Fixing Feet comprises of two moulded plastic armrests for a comfortable and secure grip. 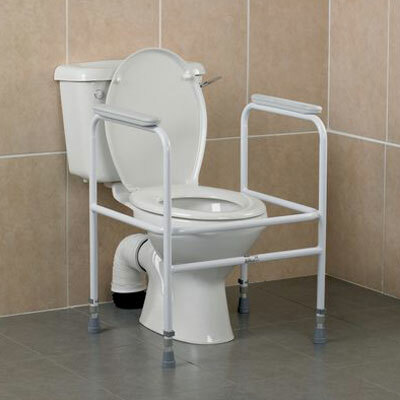 Available with floor fixing feet which add extra stability and support. Product Height 27½ to 33½"